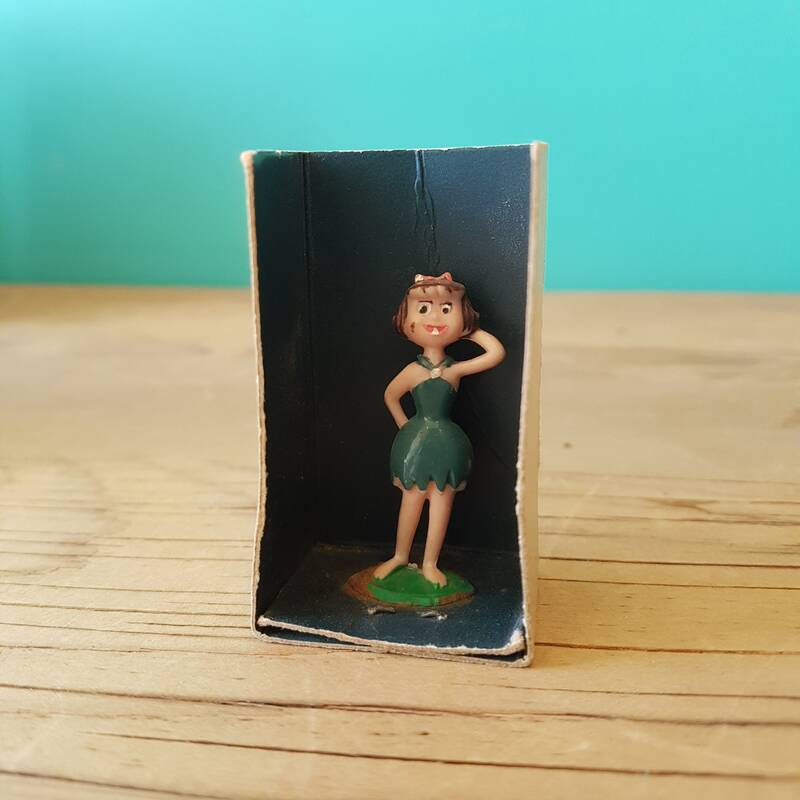 These figurine were made in Hong Kong by a company licensed by Marx of Canada to make their less expensive toys. 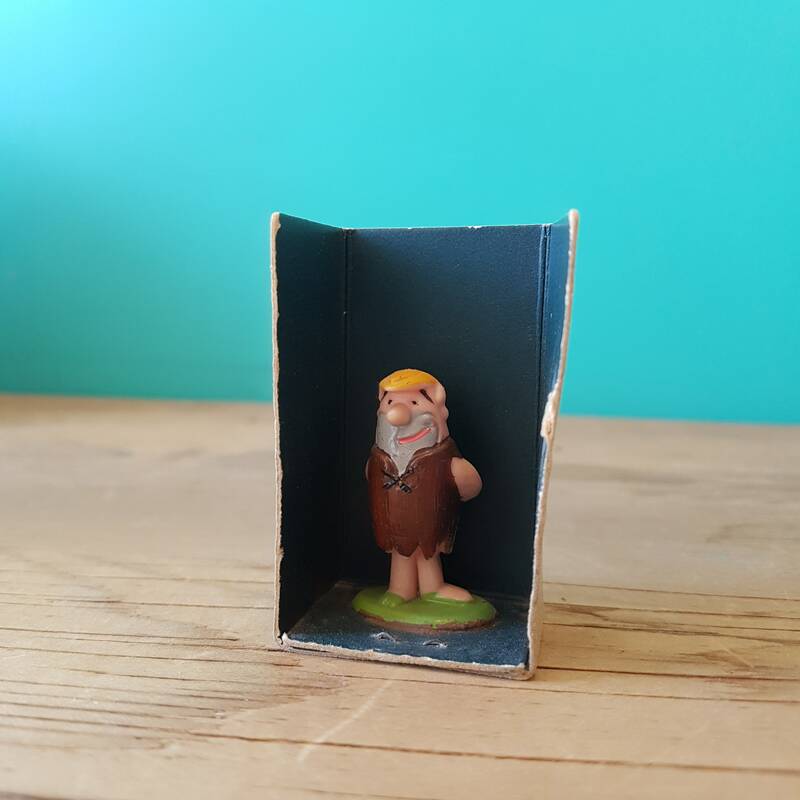 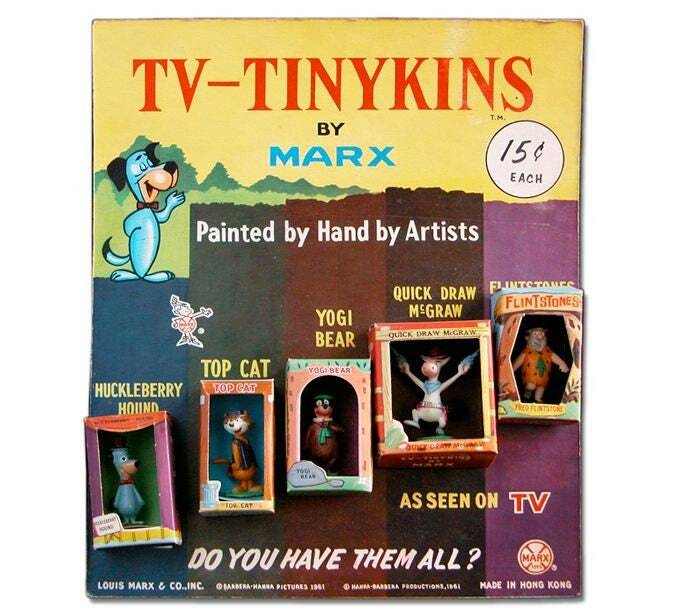 Called TV-Tinykins, these little toys were among the first cheap mass produced toys sold as sets and directly marketed to children. 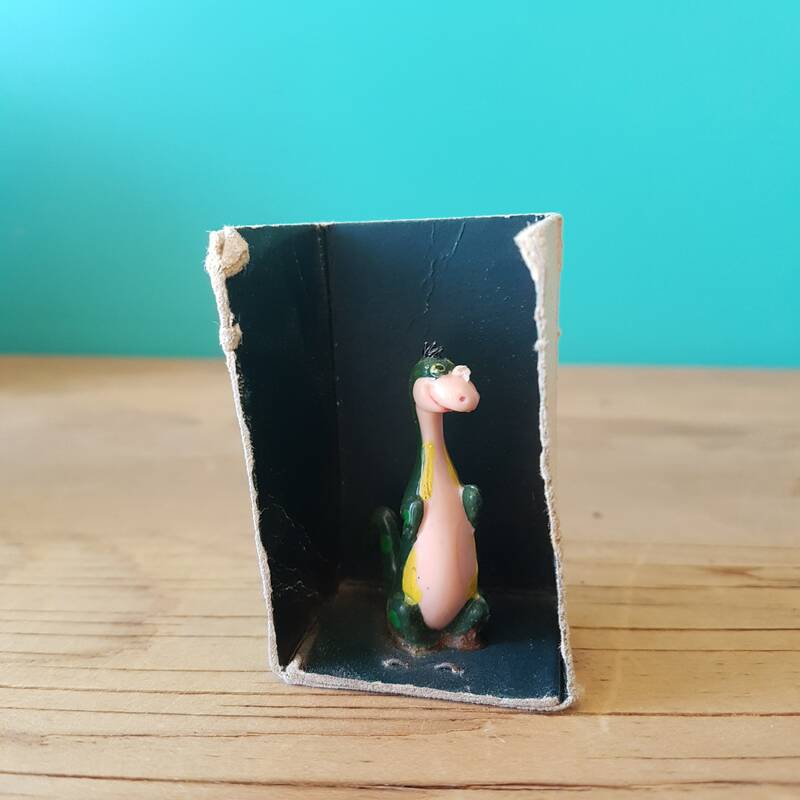 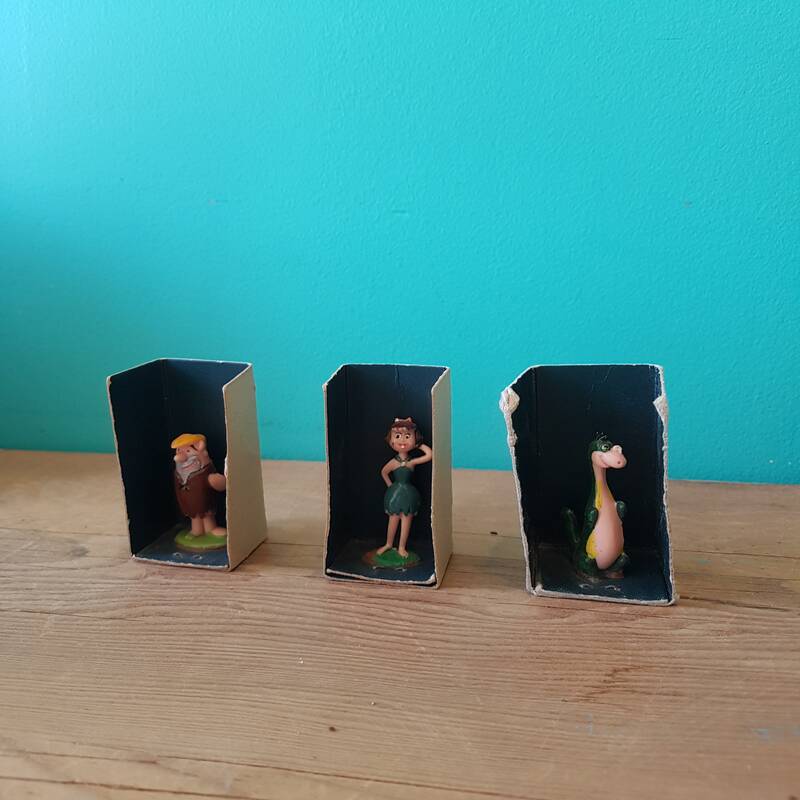 Barney, Betty, and Dino are all in good condition and come still mounted on their original cardboard bases.